I’ve been thinking a lot lately about what makes a place a home. Is it having an actual house where you can keep all your things and return to at night? Is it the place where you loved ones live? Is it where in every corner, there’s a fragment of a childhood memory hidden? Is it the place you have a love-hate relationship with? Or better yet, is the place where your ID says you belong to? If the answer is yes to all of these questions, then in my case, I have two homes. Beirut, a city I can never be away from for long, and Jeddah, a city that has always been kind to me, even if I have not felt the same way about it. To look at it from one perspective, the two cities could not be any more different. Beirut is vibrant, loud, and fast-paced. 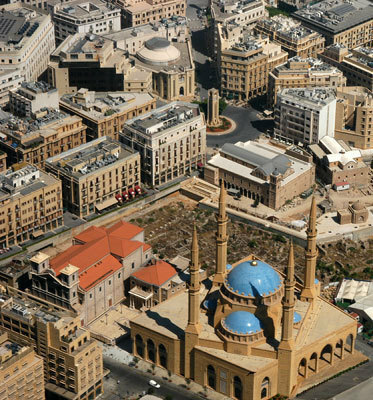 Beirut is a historical city that is eager to shed this image in favor of evoking comparisons with the greatest cities of the world. Beirut, the charismatic city, is losing its charm, while it’s citizens look on.